Apple has made some truly terrible pointing devices in its time. Apple’s puck mouse was so bad that it was rated one of the worst tech products of all time. The current Magic Mouse might not be that bad, but it’s hardly short on flaws. It’s uncomfortable to hold. 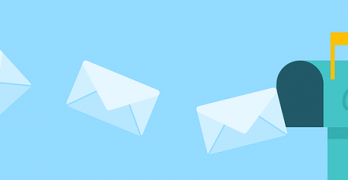 It’s difficult to click correctly, causing plenty of accidental input. It can’t be used while being charged because it’s charging port is, unbelievable, on the bottom. But perhaps most frustratingly, it’s difficult to orient upright. MacBook and MacBook Pro users have it a little easier. The trackpads on those Macs are the best on the market, leaving nothing to be desired. Yet iMac and Mac Pro users in search of a decent input device must either purchase an external Magic Trackpad or look outside the Apple ecosystem to find a decent pointing device. If you’re hunting for the best mouse for your desk, here’s why you should consider a trackball mouse for your Mac. In recent years the conversation about healthy ergonomics in the work place has grown. More workers are aware of the health risks and problems associated with long periods of sitting daily. It’s supremely unhealthy, and many companies have made a serious effort to help modern office workers reduce the risks of desk-bound work. While standing up will help your health, more ergonomic input devices can protect you from an RSI, or repetitive strain injury. These injuries are caused by repeatedly straining your body in the same way, over and over again. These injuries can cause numbness, tingling, and pain, and they won’t go away until you stop the stressor. 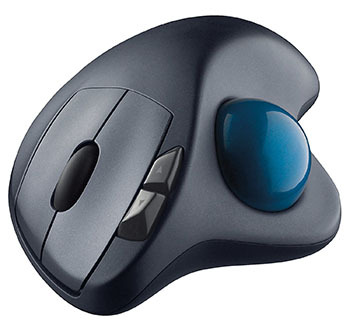 Trackball mice can be a blessing for workers suffering from a wrist-based RSI or carpal tunnel. The benefit comes from the trackball’s stable position. While you move your wrist and arm to manipulate a traditional mouse, you only need to move your fingers to use a trackball. If you use a wrist rest with your trackball, your wrist will be at a healthier angle. This frees it from the strain associated with sliding your mouse around. Because your hand stays in one place, your arm and wrist won’t be strained by the constant back and forth movement of a mouse. My computer’s mouse is easily the most failure prone device I own. A mouse is one of the few components of your computer that still requires moving parts, and those kinds of parts wear out and fail over time. Cheap mice fail most quickly, but even high-quality mice are subject to wear and tear. Part of this is due to entropy and the planned lifespan of things like click sensor. But your mouse’s lifespan can be shortened by constant, aggressive movement. I’ve seen plenty of people slam their mouse down in frustration, or accidentally track it right off the edge of their desk. 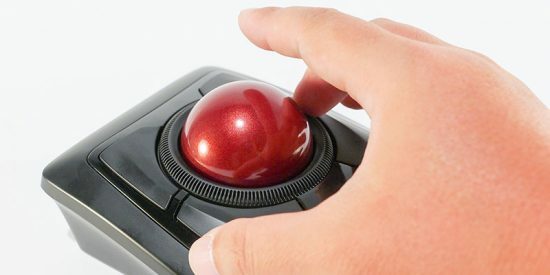 Because trackballs are stationary, they’re often spared the potential stress of aggressive moments or drops. Provided the buttons stay in good shape, a trackball can outlast a high-quality office chair. A well-cared-for mouse might last just as long, but in our experience, they’re not nearly as common. You might need a little time to become comfortable with a trackball. But once you get used to it (perhaps a week or so), your cursor’s accuracy can increase significantly. This is especially true for small, precise movements, to which trackballs are typically more sensitive. 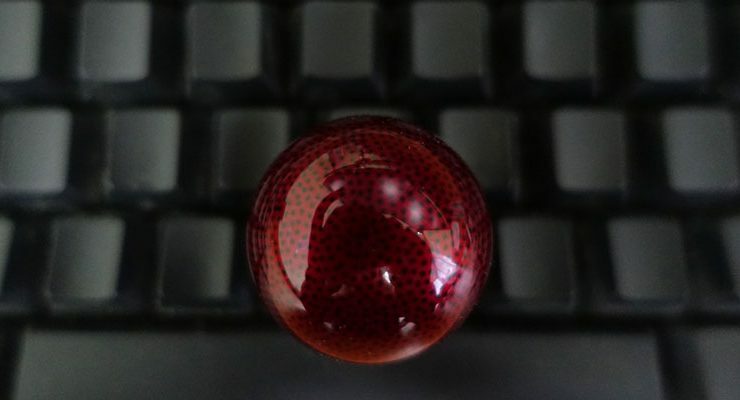 Trackballs with large balls are often the best for work like this, since they allow you to control the cursor more minutely than those with smaller balls. 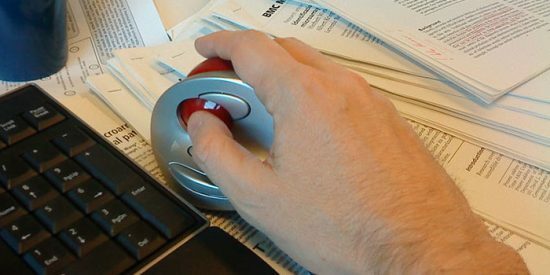 Trackballs also make it easier to “whip” the cursor from one edge of the workspace to the other, requiring only a roll of the fingers. If Apple has done one thing well with their mice, it’s make them track on virtually any surface. A Magic Mouse requires no mouse pad, at least not in our experience. But it still does require some room to slide around your desk. If you want to make the most of limited desk space, a wireless trackball frees up a chunk of desk formerly dedicated to your mouse’s movement. Since trackballs stay in one place, you can reclaim desk space for whatever you’d like. If you can’t stand wasting any desk space on a mouse, you might check out a thumb mouse. These pointers implement something like a pistol grip, sitting comfortably in your hand rather than resting on your desk. 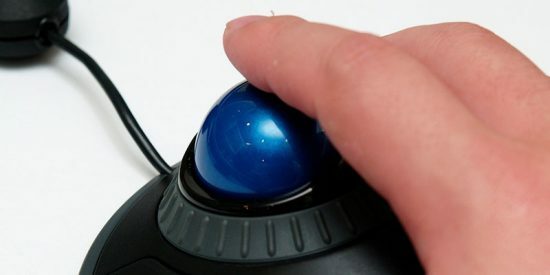 You control the pointer with a thumb-controlled trackball and “pull the trigger” for a primary click. Desk space is never quite so dear as when your traveling. As good as Apple’s touchpads can be, they can make truly precise pointing extremely challenging. 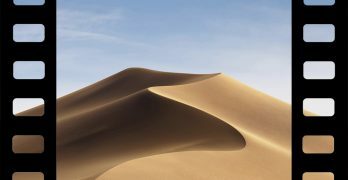 Making selections with the lasso tool in Photoshop, for example, can be nightmarishly hard without an external device. While most users favor large format pen tablets for these tasks, these are perhaps more difficult to use while on an airplane. Once you’ve picked up some skill with a trackball, however, you’ll find their an excellent substitute for precise work. Their especially useful for precise work while traveling. You can replace your track pad with a better pointing device without requiring an extra tray table for your mouse. Grab a small format trackball and plop it down wherever it will be sturdy, and you’ve got an extremely precise pointing device ready to rock. If you’re ready to explore the world of trackballs, the Kensington Orbit and Logitech’s M570 are both excellent and inexpensive choices that are compatible with macOS. After a week, you’ll probably never want to switch back!